Since the Christchurch earthquakes, the subsequent rebuild, the rearrangement of certain public spaces, and changes to the way people are being encouraged to travel around the city, travelling to other cities sets me onto comparison mode. Naturally, critiquing the cycling experience takes priority, but the pedestrian experience and public spaces are of interest also. Let’s look at a recent visit to Melbourne. 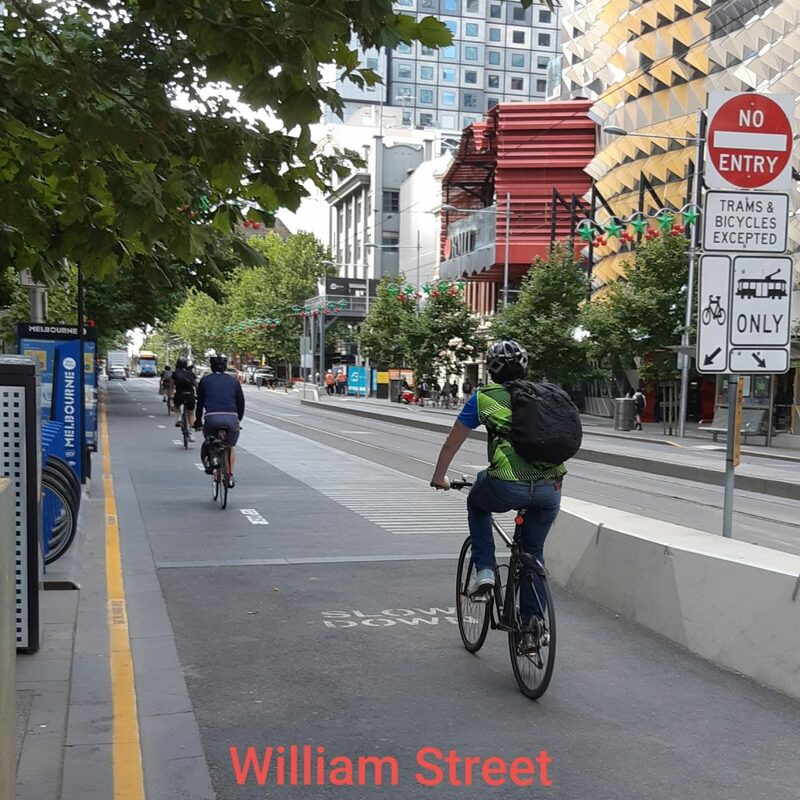 This post from Lennyboy covers most of the infrastructure features of Melbourne cycling from 18 month ago. Back in 1992, a development plan designed to increase the population of central Melbourne and make it an attractive vibrant city that people would want to visit and live was implemented. Labelled Postcode 3000, the project allowed incentives to build central residential development. The conversion of commercial buildings and warehouses into liveable spaces was encouraged. The increasing central city population and subsequent increase in commercial development has fuelled cultural activity and given downtown zones a ‘buzz’ of interesting stuff. 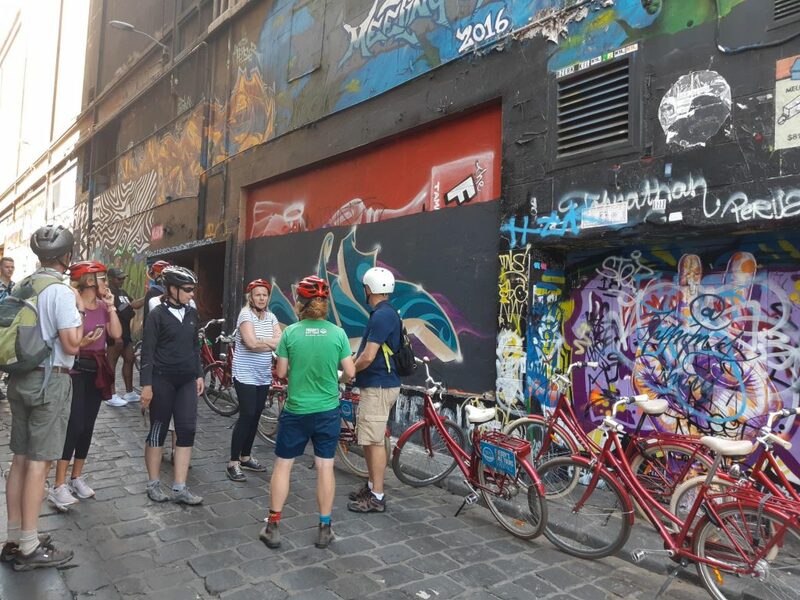 The Laneways which were previously dead, dirty places of questionable safety, now throng with people and retail and hospitality activity; a must go to area for any visit to Melbourne. As population density increases centrally – (Melbourne at 470 people per sq km, as opposed to Christchurch at 270 per sq km) it is realised that cars are extremely space inefficient as a mode of transport. 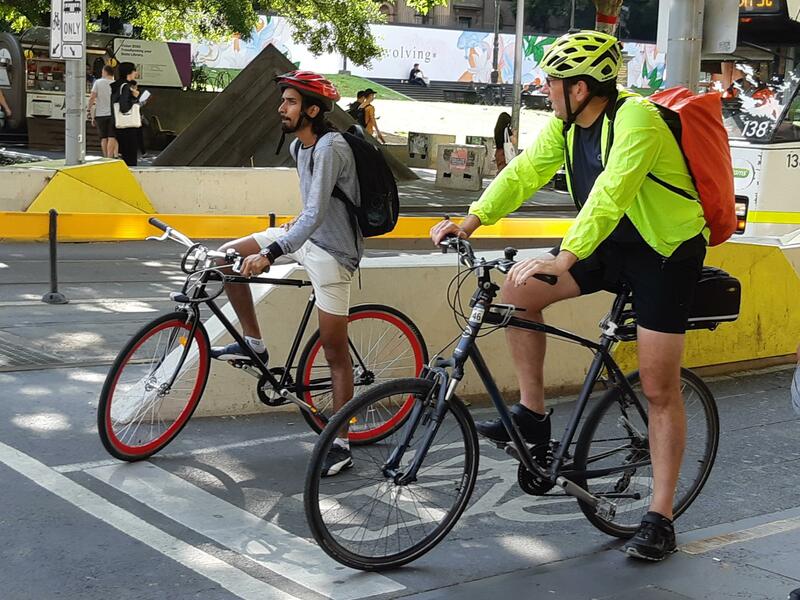 “Make no mistake, with a few notable exceptions such as deliveries, disability and emergency services access, we are in the business of reclaiming space from cars for great shared living,” Cr Frances Gilley said. 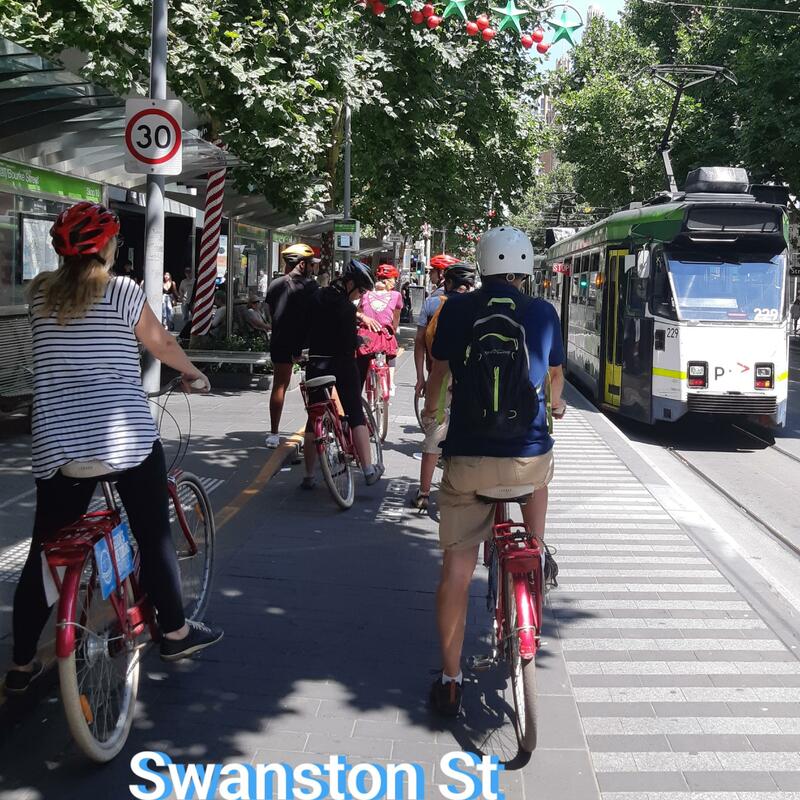 The changes made and the aggressive stance to change Melbourne from being just a car and tram city has enabled the better environment for cycling. 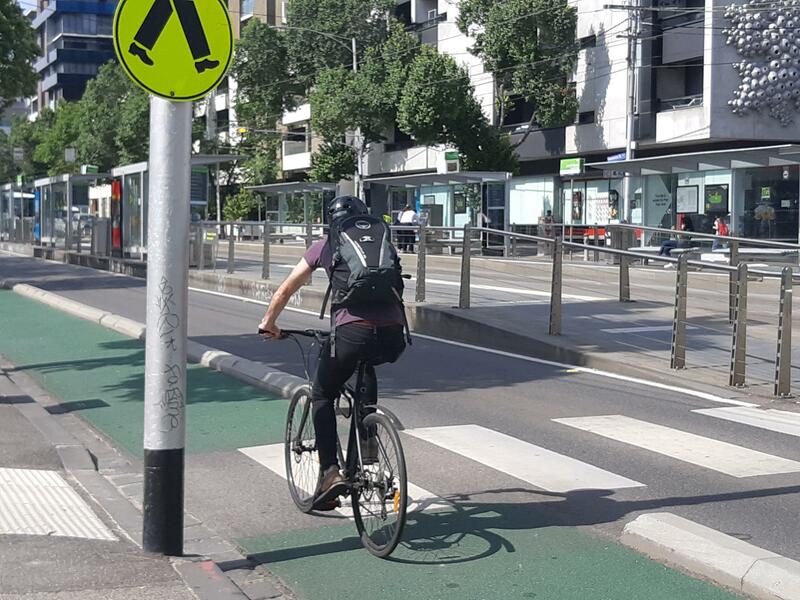 Much more could be yet done to connect the limited cycleway network better, reduce vehicle speeds further, and improve the inevitable compromise infrastructure that results from opposition. What is noticeable however, in addition to some good separation infrastructure, is the placement of well used bike parking stands on pavement space. Melbourne has a climate comparable to Christchurch. It is not so much flat as sits atop easily cycleable gradients. Most central areas were planned out during the second half of the 19th century when money was pouring in from the goldfields of Victoria. The popular way to redevelop European cities at the time was to build wide boulevards, facilitating the movement of people with various forms of wheeled transport. An extensive grid pattern has enabled some wide streets to easily accommodate a spacious cycle lane without traffic disruption. Not perfect, but cheap and effective. Like Christchurch, many parks and gardens exist to accommodate shared paths; footpaths also become shared use to link the gaps. 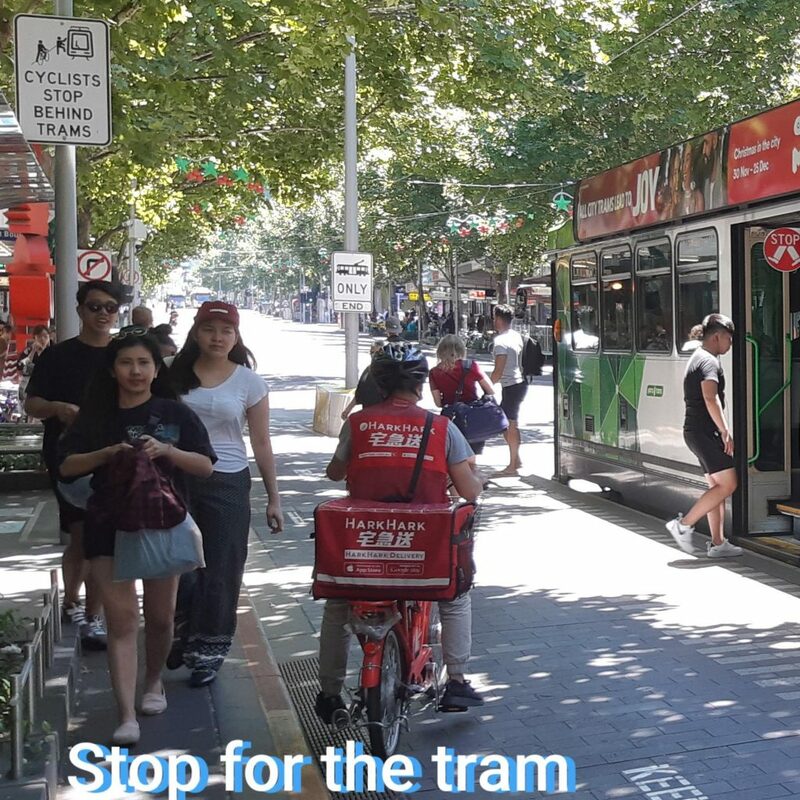 The provision of separated cycleways has been challenging due to the extensive tram network spanning the CBD, but those achieved appear successful. Melbourne Bikeshare has operated since 2010, with 50 stations and 600 bikes. 170,000 rides were recorded in the 12 months July 2015 to June 2016 well short of initial projections. This is thought to partially be due to a compulsory helmet requirement. Although free helmets have been provided, few were evident at the stations within the CBD. Dockless bikeshare oBike provided a service in Melbourne for almost 12 months before abandoning the project. Opposition from some quarters, and destructive behaviour from others, resulted in regulation by the city. This was deemed incompatible with the company’s mode of operation. The Capital City Trail is a great way to enjoy a few hours experiencing inner Melbourne by bike. 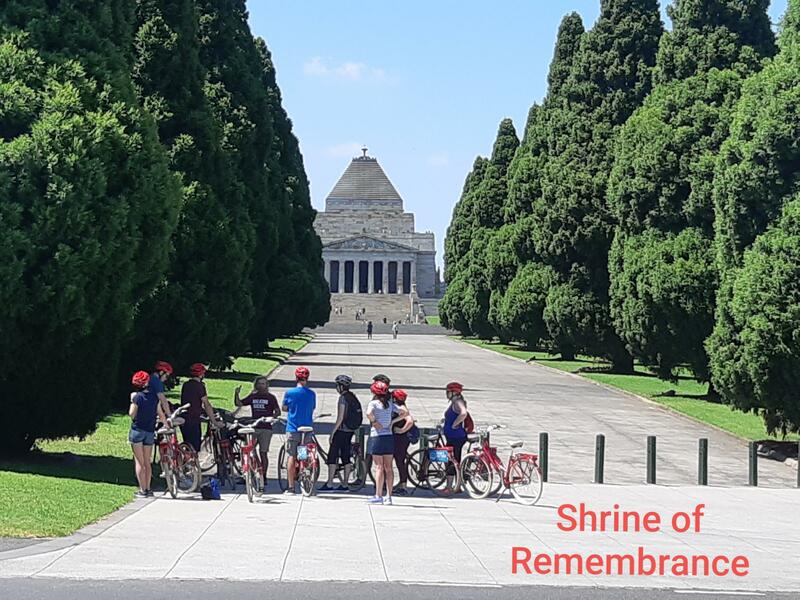 To learn some of the colourful history behind the many central landmarks of Melbourne, join an entertaining and enjoyable guided bike tour. A noticeable cycling difference between Central Melbourne and Christchurch is who is on their bikes. With our new cycleways designed to appeal to the ‘8 to 80’ demographic, that is what we are getting. Everyone from all walks of life. 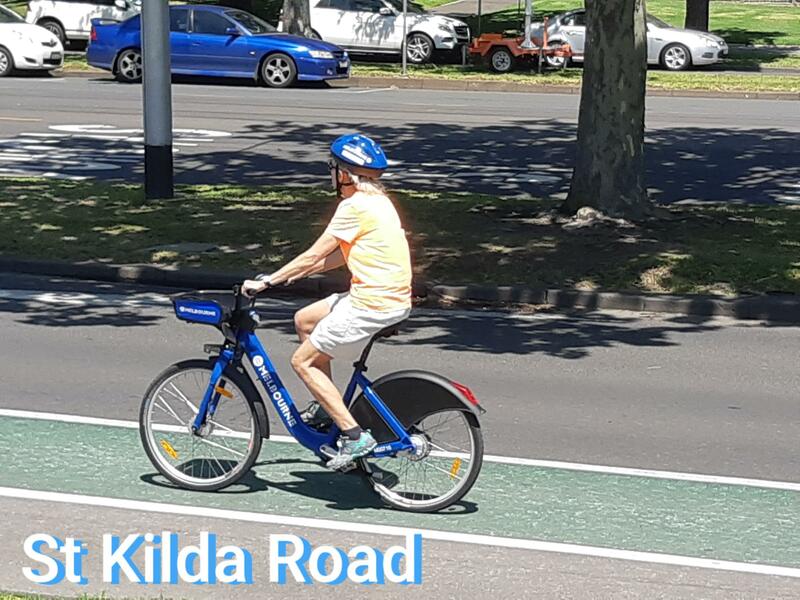 I know little of Melbourne suburbia (other than Kath and Kim, which certainly didn’t feature any evidence of cycling as a mode of transport) but the central city demographic on bikes appeared to be 20 to 50 years of age, with a style of bike and clothing to match. Representing the urban professional in a large and successful western city. 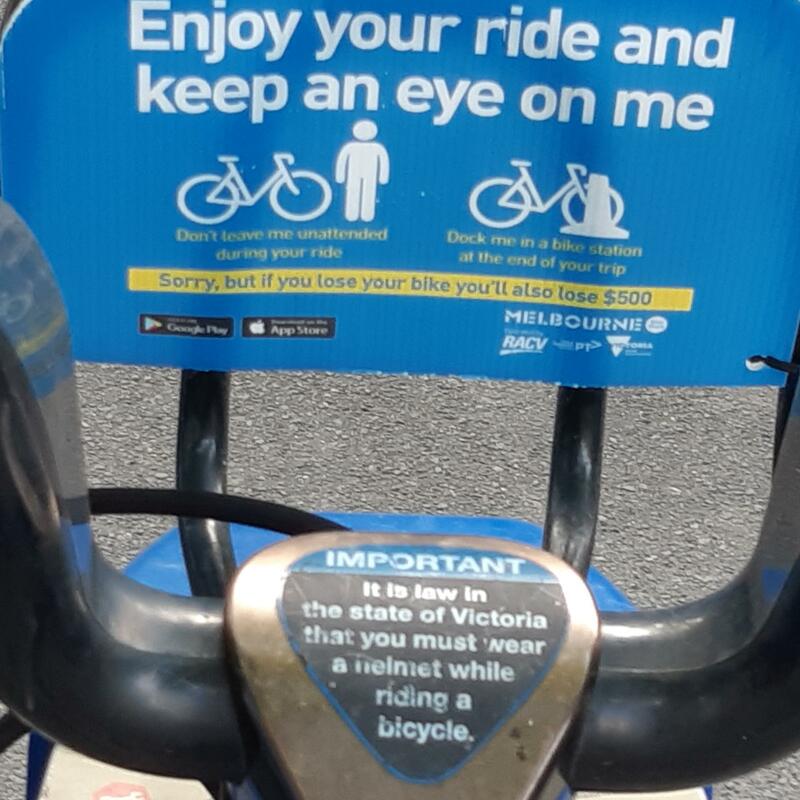 Have you biked in Melbourne? What did you think? One-eyed Cantab here that relocated to Melbourne in November 2017. I’d only started seeing my bike as a total car replacement in the months leading up to my shift, but had been commuting to work 1-5 days a week from Woolston to Barrington for about 18 months. Prior to that, I’d seen cycling as something only to do recreationally. I’m totally star-struck by any cargo bike I see now, but haven’t yet bitten the bullet and bought one. 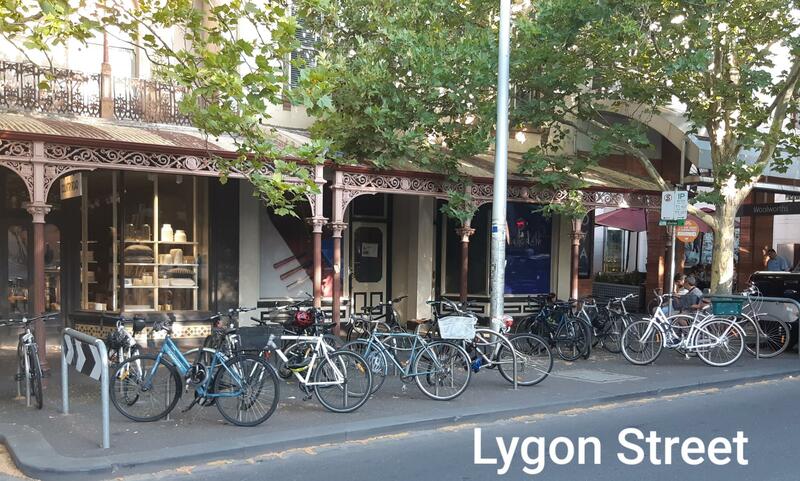 Now in Melbourne, we’ve yet to buy a car (we live in an area that’s very walkable – only 25 minutes trot to the CBD! ), and I have been commuting to work as much as I can by bike – a trip of 23km, or 1 hour and 10 minutes give or take on the bike, EACH WAY. That distance is at the limits of reasonable, especially since I also have a physical job, but almost all of the route is on ‘shared’ cycle/pedestrian pathways or cycle priority streets. And that is a god-send. It takes away so much of the danger, and now it’s slow and frustrating pedestrians that employ my concentration. 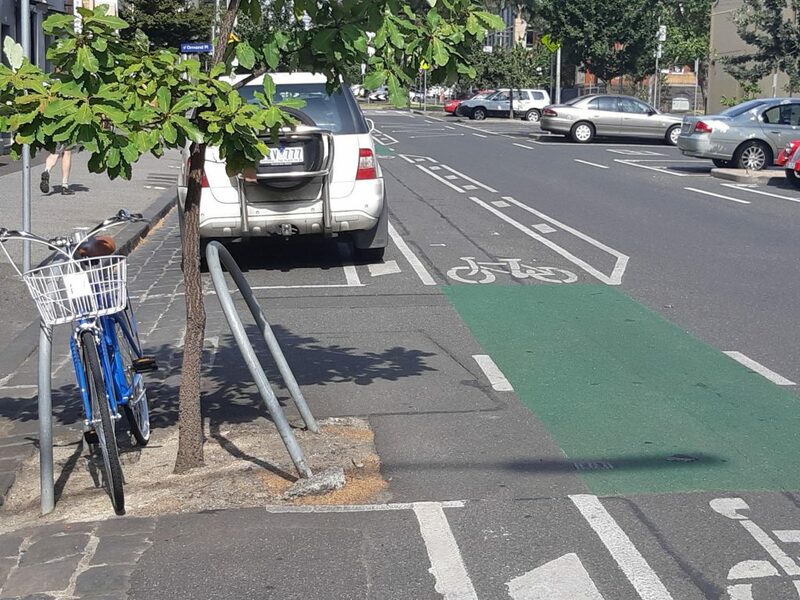 While the cycle network here is far from perfect, you really can travel the length and breadth of Melbourne on some form of cycle infrastructure. I haven’t had the chance yet to sample Christchurch’s new cycle lanes but it is so heartwarming seeing the developments, and so needed, too. If Christchurch can it up, it’s cycle lanes will out-class Melbourne’s within decades. Great comment Julian, thanks for contributing. Would be interested to hear what you think of Christchurch and cycling next visit back. 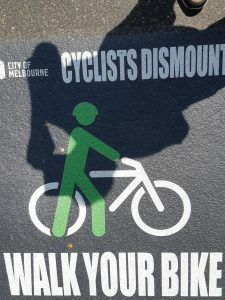 I think we should be able to outclass Melbourne for the cycling experience, and it just may be a little less than ‘decades’ ; possibly even less than ‘a decade’ . Bit of bias coming through there though.